Ben Van Leeuwen, Pete Van Leeuwen and Laura O’Neill launched the first two Van Leeuwen Artisan Ice Cream scoop trucks in the spring of 2008. They now have six trucks and three stores around Brooklyn and Manhattan serving housemade ice creams, fresh pastries and Toby’s Estate Coffee. In October 2012 they opened their Indonesian restaurant Selamat Pagi in Greenpoint, Brooklyn. Check out their website or, for daily locations of their LA scoop trucks, follow them on Twitter at @VLAIC. Richly illustrated, told in a whimsical style, and filled with invaluable, easy-to-follow techniques and tips for making old-fashioned ice cream at home, The Van Leeuwen Artisan Ice Cream Book includes captivating stories—and an explanation of the basic science behind these delicious creations. 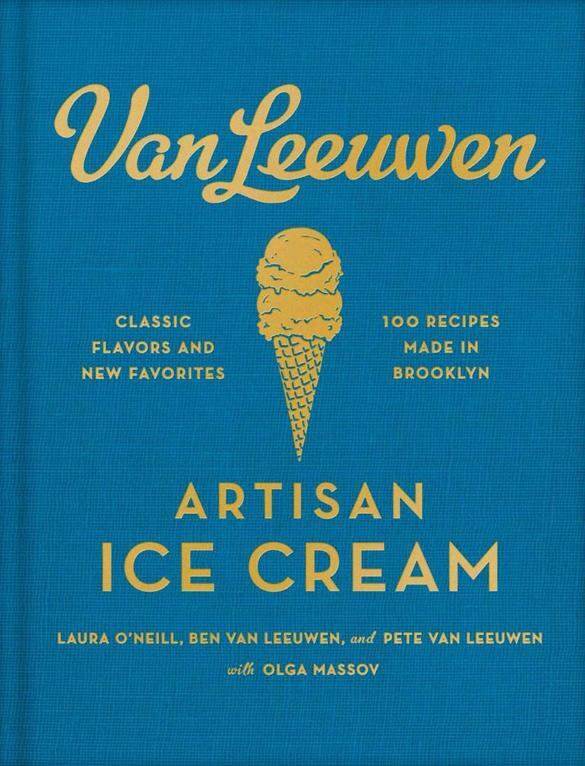 Enjoy these irresistible artisanal delights anytime—The Van Leeuwen Ice Cream Book shows you how.